The boys’ winter track team has now been renamed to the boys’ indoor track team. Despite losing many seniors after a strong season last year, the team is back, being led by Captain Nick Robinson (VI). This year, although comprising a small roster, the boys are determined to push through the harsh winter weather and build a strong core of runners over the course of the season. By MIRO BERGAM ’19, NOAH BERGAM ’21, MEGHAN DURKIN ’21, VICKY GU ’20, FELICIA HO ’19, ANEESH KARUPPUR ’21, BROOKE PAN ’21, EVA SCHILLER ’21, KETAKI TAVAN ’19, BRYNN WEISHOLTZ ’20. After completing their classes in early May, 139 seniors pursued Independent Senior Projects (ISPs). These projects ranged from translating a grandfather’s autobiography about the Korean War to studying the effects of climate change on beach towns, allowing seniors to explore their interestsin the nal months of theirhigh school careers. We break down the projectsby their general eld ofinterest. develop “my own artistic voice” by writing two short stories in Spanish. In addition to writing, he also participated in frequent surf lessons to have conversations and interact with members of the Santa Teresa community. Rachel Chen visited both cities and landmarks in China to reconnect with her roots and compare An- cient and Modern China with the Western World. Her experience culminatedin a personal re ection andseveral sketches inspired by her trip. Upon her re- turn, she shadowed several doctors at the St. Barnabas Medical Center in Livings-ton to experience rsthandthe responsibilities and realities of being a doctor. for learning the Chinese language by exploring Chinese cuisine in China- town, NYC, participating in Kung Fu and Tai Chi at a nearby Shaolin Kung Fu center, and visiting various museums about the impact of Chinese artwork on Chinese communities in each dynasty. She posted several blog posts about her excursions, as well as a video documenting her experiences and interviews with Chinese immigrants. To answer the question, “How did Paul Cézanne’s life in Aix-en-Provencein uence his artwork?” Katya Drovetsky and Ilana Lurie traveled to Aix-en-Provence in France to trace Cézanne’s artistic life. Using their AP Art History and AP European History knowledge, the pair researched and completed a travel journal recording their personal experiences in the Aix-en- Provence. Isabel Giordano and Caroline Petrow-Cohen tackled the question of what efforts Germany and its government are making to commemorate and condemn its dark past in the Holocaust by traveling to Berlin, Germany, and visiting public monu- ments, museums, and two concentration camps. Their project concluded with a final research paper exploring their findings. Maya Huffman, hoping to continue her Japanese studies after visiting Japan last year, and Wallace Truesdale, who has been interested in Japanese media and culture for years, spent around five hours a day learning Japanese from apps and DVDs. At the end of their project, they created worksheets and exercises to help others learn Japanese. In the process of learning to speak and write Korean at a basic level through lessons and conversations with her great aunt, Lindsey Yu compiled a fully translated English version of her great grandfather’s autobiography about the Korean War and their family history. The autobiography included anecdotes from relatives, a family tree, and images of people and places mentioned in his work. Galvanized by the effects of Hurricane Maria on Puerto Rico and its continued struggle to recover from the storm, Sanford Ren traveled to Puerto Rico to experience the devastation firsthand. He wrote a blog, compiled a photo journal, and prepared a research paper on the economic recession plaguing Puerto Rico and proposed ways to fix it. Using their knowledge of physics, computer science, and engineering, Arnav Agrawal and William Zhang constructed and programmed a 3D printer, which they used to create a working telescope. With their innovative use of cutting edge machinery, the two also managed to observe the night sky and pursued their interest in stargazing. Namita Davey gained valuable experience working in the tech field by shadowing Marina Thottan, the Director of Network Intelligence and Control Systems at Nokia Bell Labs. She worked on projects ranging from online games to network design, all while embracing NBL’s reputation as an innovative, cross disciplinary center of computer science research. Hoping to expand his knowledge of the tech industry and the professional world, Obi Nnaeto interned at the Google Creative Lab in New York City. Through this internship, Nnaeto observed and documented the creative process at Google, as well as the dynamics of a modern workplace. Working under the program designer at lowMu inc., a real estate technology company, Billy Fallon and Max Sanchez aimed to centralize the communication required for a real estate transaction by programing a web application. The app’s many useful functions include an online calendar and the ability to fill out address and subject lines of emails. Jennifer Fish and Ami Gianchandani worked towards improving the lives of Pingry students by coding a digital version of the planned absence form. 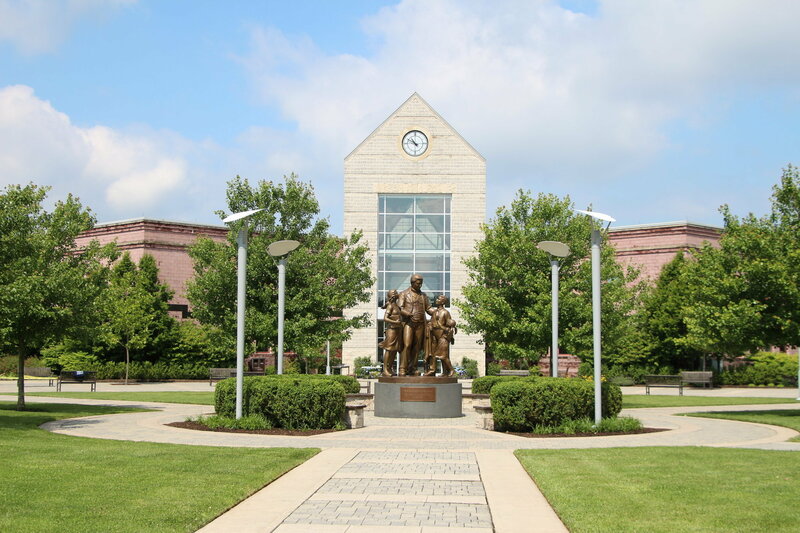 By streamlining the process for both students and teachers, the pair left a legacy at Pingry as well as explored the practical uses of their computer science knowledge. Using a motion sensing device called Microsoft Kinect, Graham Matthews programmed an interactive video game that tracks the movements of the user’s hands. In order to accomplish this, he had to learn an entirely new coding language and expand his knowledge of obscure areas of computer programming. By taking courses online and spending time at Hanu Software, Alex Fradkin studied the connectivity of everyday objects through internet, which is generally referred to as the Internet of Things. Using what he learned, Fradkin coded a virtual reality environment that users can interact with and change. Fulfilling “a childhood dream,” Ish McLaughlin spent his time working at the Hilltop Auto Repair in Summit and getting hands-on experience as a mechanic. In addition to performing basic service on cars, McLaughlin helped the shop harness social media as a tool to expand their customer base. Inspired by his interest in data analysis and neurological disorders, Mitchell Pavlak conducted a study of how close a role genetic mutations play in migraines. Throughout the process, he also learned and documented the multiple algorithms required to sort and analyze the data. Anna Wood helped to develop an app called Strive, which allows endurance athletes to maintain their health by tracking their heart rate, stride length, and other physical statistics. She also worked with Great Expectations to introduce healthy, easy recipes to women and children at the Center. In order to investigate the impact of sports and athletes on culture and political movements, Zach Aanstoots and AJ Weaver researched both past and present examples of athletes asserting their voice in issues of equality. To supplement their research, they also visited the Studio Museum in Harlem. Ben Barral interned for the New Jersey Devils’ Human Resources Manager through helping with ticket sales, the Devils Outreach Program, and marketing. While at the Prudential Center, he observed the makings of a successful organization and sought to understand how the Devils have changed their association to stay relevant in today’s society. Through assistant coaching both Pingry’s middle school lacrosse team and his town’s youth lacrosse team, Aidan Dillon focused on improving his leadership skills. He worked with Mr. Greg Sullivan, a Pingry teacher and lacrosse coach, to plan practices and reflect on their effectiveness afterwards. To understand how organizations maintain a healthy business model, Michael Weber interned for the Somerset Patriots, a minor league baseball team in Bridgewater Township. He worked at the ticket office both selling tickets and answering calls from potential buyers, while also exploring how the Somerset Patriots work together to build a long-lasting, successful organization. Hoping to learn about the life and regiments of professional athletes, Malcolm Fields shadowed Kaito Streets, a coach and student at Advance Fencing and Fitness Academy preparing for the 2020 Summer Olympics in Tokyo. Throughout the month, he watched Streets practice both his mental and physical approach, while Fields took classes himself to improve upon his own skills. With an interest in sports analysis, Max Scherzer interned at Rutgers University to help collect and analyze data regarding ticket sales and potential season ticket holders in order to maximize fan turnout at sporting events. Working with Mr. Ryan Gottlieb, the Associate Athletic Director for Sales Strategy and Business Intelligence at Rutgers, he documented his new found knowledge of the world of sports analytics in a daily journal. Apurva Memani completed an internship with Vashkevich Fencing Club, where he has trained before, as an Assistant Fencing Coach. Focusing on sports management and economics, along with fundamental communication and leadership skills, he gave individual and group lessons at the club. To continue both her interest in playing and coaching tennis, Brooke Murphy shadowed Matt Sabo, a coach for ProSmart Tennis Academy and a former professional tennis player himself. She focused on learning how to teach young players and improving her coaching techniques by helping Sabo run clinics. Exploring the fields of marketing and public relations, Giancarlo Castillo worked as an assistant in the development department at the Summit Arboretum. He spent most of his time answering to whoever needed his help in order to benefit the arboretum’s main fundraiser, ART in the garden. In an effort to redefine the image and stereotypes of New Jersey, Colin Edwards and Jason Lefkort created a movie from footage of beautiful scenery they recorded as they biked across the state. Everyday, they biked a different trail exposing the diverse and historically significant sights they passed by. Mitchell Flugstad-Clarke worked for a nonprofit organization named Harding Land Trust, where he explored his interest in entrepreneurship by helping HLT develop their approaches toward social media as well as improving their website design. 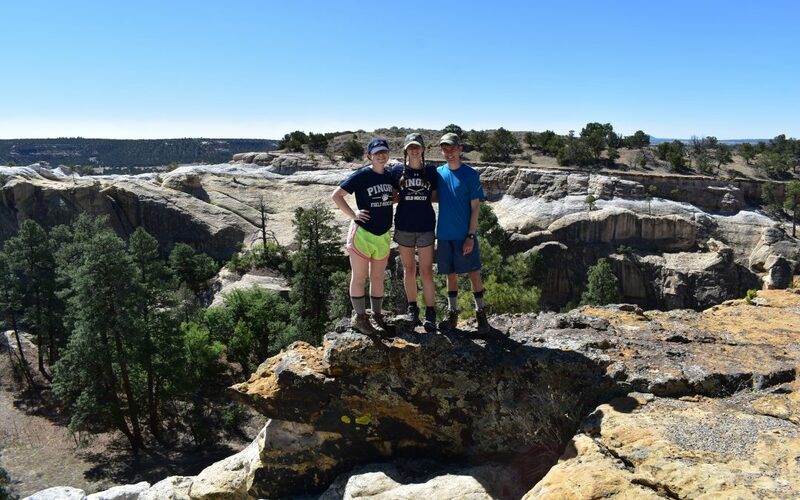 Meghan Salamon traveled to Yosemite National Park with her brother, Ryan, acting as her mentor. Before she left for her trip, her enthusiasm for health and nutrition led her to plan out each day’s meal to ensure their proper caloric intake. The two of them hiked all ten trails of Yosemite Valley, taking pictures and many video logs. Jack Proudfoot was greatly influenced by his role in the Outing Club when he decided to develop outdoor education opportunities for the students at Pingry. He completed this through creating an environmental education course for the Pingry summer camp so he can later expand his classes to fit into separate school year-long courses. Inspired by their passion for the outdoors and their interest in Native American culture, Alexis Kinney and Mary Nussbaumer traveled to New Mexico to see the Anasazi ruins at Chaco Canyon. Both had backpacked at the Bears Ears National Monument last March and were determined to return and tackle the question, “How does the National Park Service protect these historic landscapes while keeping them open to the public?”. Hoping to open their eyes to the natural beauty of Northern Jersey, Téa Simon and Shea Smith traveled to four different preserves and took photos for a visual project they presented to the rest of their peers. They hope to influence their peers to further connect their day to day lives to nature and the outdoors with their work. Sean Tan pursued his interest in protecting the environment through working at the New Jersey Audubon, where he was able to inform the community about the importance of preserving wildlife and the repercussions that society could face if they were ignored. His work at Sherman Hoffman Wildlife Sanctuary involved tasks ranging from physical labor to data entry. Jack Schuessler pursued his interest in economics and business through an internship at Kennedy Lewis Investment Management, LLC. He studied the strategies a private credit fund uses in the real world and gained experience and understanding about his own passions along the way. 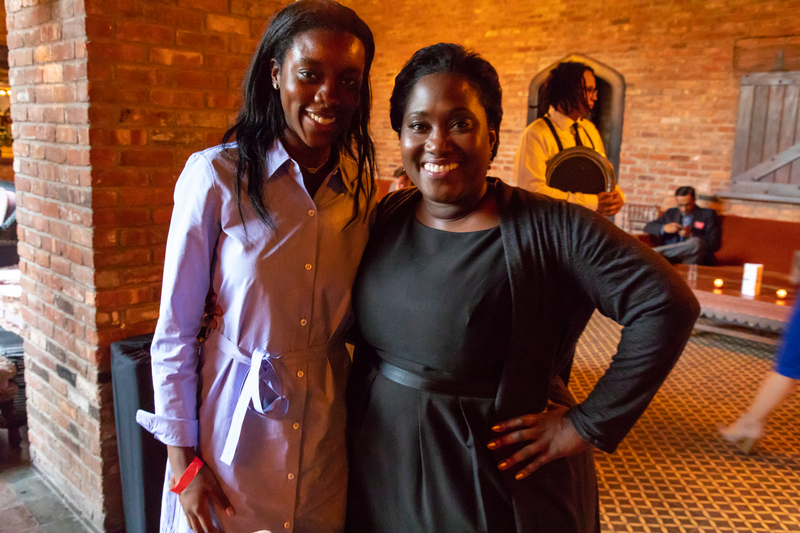 As an aspiring entrepreneur, Alexis Elliot took on the financial side of business by shadowing an established business women, Lisa Opoku. Under Opuku’s guidance, she implemented and built upon her problem-solving capabilities, all the while absorbing the ins and outs of managing a successful business. Syd Davis expanded his knowledge of engineering, finance, and management by shadowing the President and Chief Operating Officer of Crisdel, Frank Criscola. Davis gained exposure to the various jobs and departments within the company, which he shared with the public through a blog detailing his reflections and experiences. Jonathan Epifano, Henry Cohen, and Victor Vollbrechthausen travelled to Spain to work at Salvo Global Properties Inc. The three focused on different topics individually: Epifano centered his attention on architecture as well as financial studies; Cohen focused more on the real estate and construction aspects of the company; and Vollbrechthausen concentrated on the business side of the company. Adam Freeman shadowed the owner at Industrial Foam Inc., where he monitored the inflows and outflows of money and learned how a small business operates. He focused particularly on the role of the owner in the business’ success and sought to understand the owner’s responsibilities and adaptation over time. An enthusiast for community-driven events, Dhruv Govil worked at a nonprofit organization, Farnnstead Arts Inc., where he helped grow the involvement of its supporters in Basking Ridge and in the rest of the state. He proposed solutions to benefit the company’s attractions while providing fun experiences to bring the community together. Combining his passions for sports management and economics, Jacob Gruber interned at PricewaterhouseCoopers in their DEALS practice. During his time there, he discovered how both corporations and private equity clients value and assess acquisition targets. To gain insight into growing and maintaining a small business, Megan Horn shadowed Priscilla Vincent, owner of Priscilla’s Cafe. She learned the day-to-day routine of the owner and she used her discoveries to formulate her own business plan. Horn then travelled to Cape Cod with Millie Deak to study the effects of climate change on beach towns and discover the history and growth of now popular spots. Phito Jean-Louis, in order to further examine his interest in business and entrepreneurship, shadowed Chike Uzoka, an entrepreneur coach and entrepreneur himself. Through watching and participating in workshops with Mr. Uzoka, Jean-Louis gained more knowledge around the field and worked to discover if the career was for him. Emma Lombardo worked on her startup, StringFling, a customized handmade bracelet and keychain business that recently launched on the online store Etsy. She experienced the life of an entrepreneur by learning from her mentor, an entrepreneur himself, as well as buying her own materials, managing her own budget, and responding to clients. Inspired by an internship at a financial analytics firm during the summer before his junior year, Michael Lu self-studied advanced finance and economics topics and earned a New Jersey Insurance License. In addition to researching these concepts on his own, he also shadowed a financial consultant at World Financial Group. Neil Reddy explored the life of a trader by researching strategies for investment, watching seminars, and learning from an expert at a hedge fund on how stocks are analyzed. In a daily blog he sought answers to questions like, “How do investors choose companies to invest in?” and “How does the industry of a certain stock influence investment?”. Mentored by Andy Christie on-site and Ms. Tandon at Pingry, Naiyah Atulomah decided to work at Christie’s Artisan Bread and Pastry Shop in Clinton, New Jersey. While working behind the counter and gaining an understanding of how businesses and kitchens are run, Atulomah also researched how different ingredients affect types of bread and experimented with baking her own. Under the guidance of Dr. Marie-Pierre Jolly, Raymond Chen tackled combining basic machine learning with neuroscience. Using a vast array of resources, including online courses, online textbooks, and instructors from his Columbia University Science Honors Program, he developed a greater understanding of the computational side of machine learning. Matt Stanton investigated the differing habits and behavior of Black Sea Bass, Striped Bass, and Fluke by fishing in Montauk, New York. During fish migration period in May, he used surfboards, kayaks, and boats to fully observe their differences, culminating in a research paper discussing his ideas for new regulations which conflict with current DEC policies. Hoping to see how unlimited practice time would increase his skill level, Ethan Chung studied the history of music pieces and practiced instruments for at least four hours a day split between piano and cello. He also attended concerts in New York City to help build his music knowledge and decide what role music will play in his future. Connor Smith explored photography, a course he regretted never taking at Pingry, and combined it with his love of music to produce a collection of music photography. He attended various concerts and, under the mentorship of teacher Mr. Miles Boyd and owner of RMC Records EJ Gaub, he photographed young musicians at the recording studio and other artists during their performances. Jonathan Huang returned to the Short Hills campus to give back to the music program, as it guided him towards some of his happiest high school moments in the Buttondowns. He helped run music classes under the mentorship of Mrs. Finn and also planned Field Day and other events through the front office. 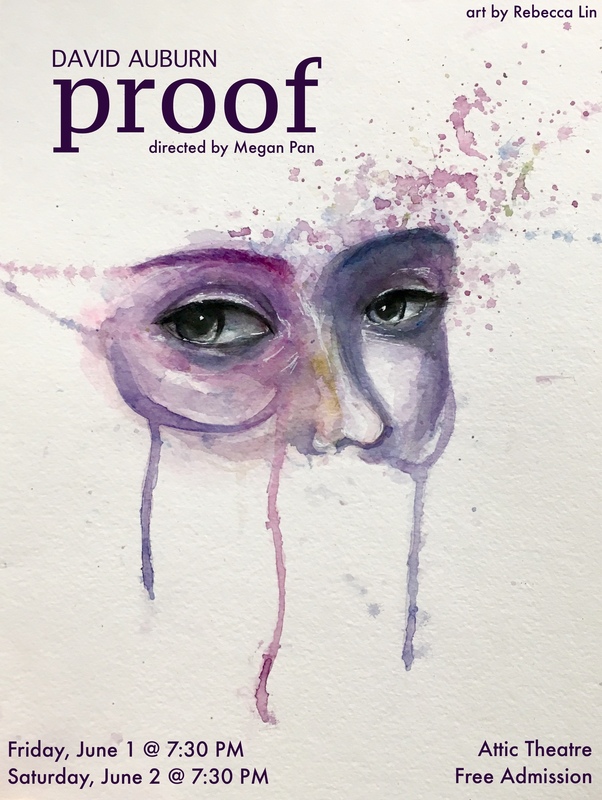 As a final farewell to the Drama Department, Megan Pan produced and directed David Auburn’s Pulitzer-winning play, Proof. Her goal was to learn about steps it takes to produce a play from beginning to end while still serving as a mentor for younger students within the drama program. To pay homage to his tabla instructor and guru Kaumil and the Taalim School of Indian Music in Edison, NJ, Nikhil Rao spent roughly three hours a day practicing the tabla, a Northern Indian classical drum. Ultimately, he composed a ten to fifteen minute duet which he performed and videoed featuring himself and his instructor. Brandon Rosen spent the month building his professional singing career by writing and recording songs, one of which will be released as his next single. Most of his work took place at the Mannes School of Music in New York City and at Germano Studios. Jewell Strickland worked on the technical facets of Megan Pan’s production of David Auburn’s Pulitzer-winning play, Proof, and assisted backstage for the middle school musical technical team. For both plays, Strickland designed the lights and sets for the show and drew layouts for various scenes. Hailey Cernuto worked with the Children’s Education Department at the Reeves Reed Arboretum. Under the mentorship of Jackie Kondel, the Director of Education at Reeves Reed, Cernuto worked to better understand what goes into creating a meaningful educational experience. Determined to be role models for younger kids, Tommy Dugan and Cameron Wright volunteered as gym teachers at the Pingry Lower School. Under the mentorship of Leslie Miller, they planned and taught physical education classes and also helped organize the annual Lower School field day. George Enman and Jamie Zusi worked under the mentorship of Mr. Birotte to serve underprivileged schools in Newark and Elizabethport. Building on work they had done on previous Rufus Gunther Days and with the charity Lacrosse the Nation, they helped teachers with their classes and coached a variety of sports. Feeling that the Pingry experience had given him a limited perspective, Ryan Fuentes decided to visit five different types of schools for five days and shadow students there in order to better understand different academic experiences. For the rest of the month, he worked to document his grandfather’s stories from the Cuban Revolution and write satirical stories. An admiration for education led Sehyr Khan to work with ECLC in Chatham to help teach special needs children. Under the mentorship of Ms. Fran Ryder, a supervisor at the school, she observed the classroom, talked to the teachers, and participated in a variety of activities. Throughout the month, she updated a blog to document student experiences at the school. Under the mentorship of Ms. Erin Sweeney from the nonprofit organization Schools That Can, Jessica Li spent the first half of May working to help bring computer science to Newark schools. For the second half, Li focused on another large academic pursuit of hers: biological research. While shadowing Dr. Armstrong from Novartis in Morris Plains, she learned about the science and marketing aspects of drug development. 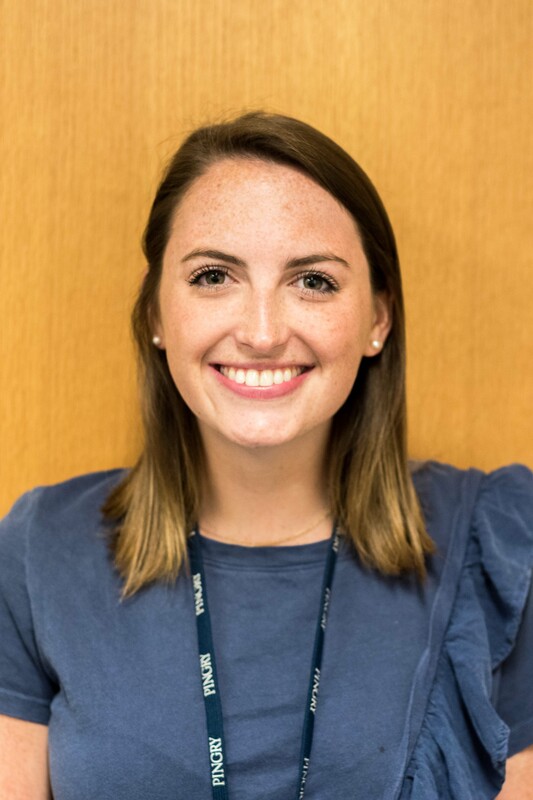 Ally Pyne volunteered at Pingry as a teachers’ assistant for the Research I Class and at the Presbyterian Church Preschool and Kindergarten. Under the mentorship of Dr. D’Ausilio for the Research Class and Ms. Maury Fryer for the preschool, Pyne was able to witness the differences and similarities between the learning styles of preschool- and high school-aged students. After having spent a senior year at Fusion Academy, Matthew Rockoff worked on a video project that embodies the experience that current seniors at Fusion Academy have had. He also helped create and continue a peer mentorship program, similar to the Peer Leadership program at Pingry. Inspired by past summers she spent shadowing her mother, a gastroenterologist, Sana Sheikh shadowed Dr. Tanveer A. Janjua, a dermatologist. With little prior knowledge about dermatology, Sheikh left her comfort zone to explore her ideal career choice as a physician from a new angle. Austin Parsons shadowed orthopedic surgeon Dr. Hunt and Senior Director of Business Operations Ms. Kathryn Van Nest. For the first two weeks with Dr. Hunt, Parsons saw the work of an orthopedic surgeon and considered the field as a future career path. For the second two weeks with Ms. Van Nest, he witnessed the inner workings of the pharmaceutical company Johnson and Johnson. Interested in the field of psychology and applied behavioral analysis, Jessica Carvelli interned at the Child Development and Autism Center at the Goryeb Children’s Hospital in Morristown. She worked with clinical staff and physicians and observed the full range of developmental delays and disabilities that the patients present, as well as the therapies that the Center provides. A volunteer EMT throughout high school, Ouarida Benatia shadowed anesthesiologist and Pingry alumnus Dr. Matthew Chow of the Morristown Medical Center to figure out what it is like in the operating room. She documented the ups and downs of her experience in a collection of poems under the mentorship of English teacher Dr. Susan Dineen. An EMT with a longtime passion for medicine, Jackie Chang shadowed anesthesiologist Dr. Chow as well as NICU doctor Dr. Ladino. Between these two doctors, Chang was able to witness the science, emotion and workings behind both anesthesiology and neonatal care, and was even able to attend a research conference about an artificial placenta with Dr. Ladino. Ryan Feeley shadowed Dr. Sanja Kolarov, an internist at the Morristown Medical Center. In order to learn about a variety of different medical specialties and gain a better idea of his future career path, Feeley maintained a blog to document all that he learned from his experiences. Following her interest in the medical and dental fields, Neha Lall shadowed both a physician, Infectious Diseases and Travel Medicine expert Dr. Meher Sultana, and two endodontists, Dr. Maya Prabhu and Dr. Carmen Cicalese. By exposing herself to two very different specializations, Lall could consider their differences and similarities and better understand what she wants to pursue in the future. Colin McKinnon shadowed Dr. Marjut Kokkola-Korpela, a specialist in tropical diseases and HIV/AIDS. Interested in the future of disease prevention, McKinnon came to understand the demands of the infectious disease field, observe how diagnoses are made, and understand how different aspects such as physician work and research play into the job as a whole. Aubrey Molloy decided to shadow two doctors: spine surgeon Dr. Mark Drzala and cardiac anesthesiologist Nimesh Patel. Inspired by a medical trip to Argentina she took the previous summer, Molloy pursued her passion for medicine and science as well as her desire to help people by witnessing and documenting life in the operating room. Alexy Alin-Hvidsten researched the geopolitical history of his ancestors as a means of better understanding his heritage and lineage. He studied the Russian Revolution, the whaling business of Norway, and primary documents such as his great aunt’s novel. Jeremy Lister visited different museums and historical sites like the National Holocaust Museum and the Tenement Museum for inspiration for his original writing. He took what he saw and used it to write a collection of historical and realistic fiction short stories. Lindsay Rispoli and Mariam Trichas studied and visited different commercial, culinary, and artistic centers in New York, such as the MET and the New York Stock Exchange. They photographed the city and kept a blog that recorded their observations of gentrification, innovation, and evolution in the city. Myla Stovall visited different eateries in New York City to research the culinary histories of Little Italy, Chinatown, and Harlem. She kept a blog and wrote a paper outlining her discoveries of how heritages and immigrant histories can be traced through the food and restaurants of NYC. Focused on exploring the line between cultural appropriation and cultural appreciation, Jordan Taylor designed and sewed a dress based on Ancient Egyptian fashion. She sought to better understand Egyptian life and culture as a means of exploring cultural appreciation as a whole. Jared Tiggs built upon his involvement in a rap group called BOE to pursue a music career of his own. He spent the month of May writing and recording original songs to create and refine his musical body of work. Clyde Leef and Jake Patterson combined their love for working with clay and commitment to community service. They hosted “Clay Nights” to raise money for an art-oriented charity and teach the community about creating clay pots. Individually, Leef and Patterson also created their own pots using techniques that would not be possible in the time span of a regular class. Inspired by Chinese and Spanish techniques of throwing and glazing pottery, Ben Vasquez explored his individual style while incorporating outside influences for his ISP. Vazquez pushed his technical boundaries, such as mimicking the extreme thin quality of Chinese pottery and the post-production painting and glazing from Spanish pieces. In order to further heighten his knowledge, he worked under Mr. Freiwald’s direct guidance and visited other workshops within New Jersey. Melissa Tungare and Lexi Brauer helped combat the speech impediment consequences of ALS. Technology Against ALS, a nonprofit organization, is currently developing technology that tracks eye movement, and Tungare and Brauer expanded its AI eye-recognition database by photographing the eyes of diverse ages, sexes, and races. In addition, they conducted research and device trainings in TA-ALS’s office, met with a lawyer to create a TA-ALS participant waiver, and distributed flyers. Alyssa Chen pursued her love for calligraphy and hand lettering. In addition to perfecting her skills through practice, research, and mentorship, she launched an Etsy shop to sell digital and physical copies of her work. Chen used her internship in a public relations/brand advocacy department in a credit union to further understand the strategies involved in creating her own brand. Jenny Coyne furthered her studies of Native American culture through literature and pottery. At Pingry, she researched online resources and consulted Mr. Freiwald to implement Native American symbolism and techniques into her own pottery. To explore Native American literature, Coyne read nearly 1,000 pages of novels and wrote reflections about them. Kelli Gomez merged her passions for art and music by painting based on songs. She created a piece for each track from the albums Current, by Tame Impala, and Channel Orange, by Frank Ocean on-campus as well as in Natirar, a nearby public park. In addition to visiting modern art galleries, she studied the details of studio art under Mr. Delman. Nick Ladino utilized the translucent quality of glass as a unique canvas for his art. In his creations, he merged the worlds of physical and functional utility with mental and mind-stimulating utility. Though he first began working with glass in his Portfolio class this year, he continued to gather inspiration and techniques by visiting glass-related museums and exhibits in New York City. Rebecca Lin pursued her love for animation by creating a storyboard animatic. Inspired by the K-Pop group BTS’s “Love Yourself” album and Unicef campaign, Lin’s animatic is about accepting one’s own mistakes and imperfections. She used traditional media to draw on-campus and planned and organized storyboards at home. Saxon Scott expanded her artistic skill set by learning to create digital art with software and a tablet. Though her mentor, Mr. Boyd, oversaw her work, Scott mostly taught herself through a series of online tutorials for Adobe Illustrator. With her newfound proficiency in digital art, she plans on combining her love of science with graphic design in the future. Looking to take more time in exploring her passions of drawing and painting without the busy schedule of school, Sophia Weldon visited several art galleries and the Botanical Garden in New York City. Inspired by the many works on exhibit, she created a portfolio of drawings, paintings, and photographs inspired by works currently on exhibit. Combining his fascination with the ocean and interest in photography, Dylan Cheng traveled to Turks and Caicos for his ISP to dive and take underwater photography. In preparation for his trip, Cheng took an official PADI online course in photography. He then taught himself how to use various editing softwares to transform his photos into a gallery. Lindsey Hogan explored her interest in photography by learning the basic principles of photo-taking and editing. Through spending time in New York City and Hunter, NY, hiking and taking pictures of the wildlife she saw, Hogan discovered how she personally sees the outdoors and what photography means to her. Looking to push herself out of her comfort zone, Sidney Shannon’s photography work was centered around sparking thoughts and questions in the minds of her audience. She experimented with portrait work inspired by surrealism and fashion photographers as well as with using colored gels to add contrast to her work. Owen Wolfson undertook multiple projects that all incorporated his interest in photography. He developed a webpage on the Pingry website to help the artists of the Pingry community gain exposure, spent time with Mr. Bruce Morrison to learn about sports photography, and took some of his own photography in an effort to dive deeply into his artistic identity. George Mychajluk visited Chinatown, the Ukrainian Village, Koreatown, Little Italy, and other landmarks of New York City to photograph immigrants and learn more about their culture. He also practiced advanced techniques such as night and bulb photography. Conor Mahoney grew as a photographer by working as an assistant to Mr. Jon DeCola, a Pingry alum. He helped Mr. DeCola with lighting set up and handled the post-production scanning of his images with specialized software and hardware. Mahoney spent the rest of his time shooting on his own in the NYC area. 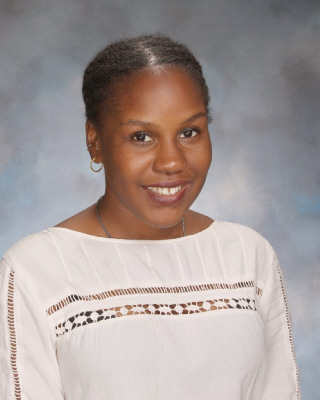 Josie Cummings worked with Tobias Fox, Newark Science and Sustainability founder and managing director, and Pingry’s FYI Sci club to enhance both her understanding of sustainable living as well as her film editing and production skills. Using the raw footage Tobias Fox provided, Cummings created videos about energy sources and climate change for FYI Sci. As an intern at the TV show Younger, Calvary Dominique observed its production in the show’s office as well as in filmings in Manhattan and Brooklyn. In this way, Dominique learned more about technical and supplemental roles of filmmaking as well as the process of filming and casting a TV show. Joei Drozjock interned on the set of the ABC television show Pyramid and followed Vincent Rubino, one of Pyramid’s head producers. Though she assisted with minor tasks dealing with logs and transcriptions, Drozjock mainly observed and created a film summarizing the development of a TV season. By creating a set of short videos introducing and describing available languages taught at Pingry for the website, Lindsey Larson enhanced her own filming and editing skills while leaving a creative legacy at Pingry. The videos of the entire Language department and Chinese, Spanish, German, French, and Latin courses are aimed to both inform and captivate prospective parents and students. Inspired by Ferdinand Magellan’s historic voyage around the world, Bao Pham recreated Magellan’s journey through a creative culinary experience. Pham learned, researched, and made recipes from across the globe and produced a video compilation of his progress. Ben Ramos, an aspiring filmmaker who lacked the time to pursue as much of his passion as he wanted to, spent the month diving into the entire process of making a film. This process involved storyboarding, planning, scouting for locations, filming, and editing. Channing Russell and Tyler Williams studied the rise of the Black Media industry during the 1980s, 1990s, and through to the present day. They analyzed films ranging from A Soldier’s Story (1985) to White Men Can’t Jump (1992) to Moonlight (2016). During the school year, Ryan Willsey was never able to find time to make videos longer than five minutes outside of his Portfolio class. During May, he created a documentary about out-of-the-way places of significance in the New Jersey and New York City area using video footage taken through his drone. Elle Braverman, Will Capanna, and Matt Parisi worked with the family of John Taylor Babbitt ‘07 and the John Taylor Babbitt Foundation, which works to raise awareness for sudden cardiac arrest, on Pingry’s annual Walk With Heart event. They made trips to Pingry’s Lower School, advertised with local media about the event, and secured donors for the foundation. Alice Berndt and Olivia Virzi spent every day at the Bridges headquarters in Summit, creating a system to catalog the inventory in the facility, working on the Bridges blog, and preparing for weekly runs into NYC to serve those in need. Shruti Sagar, Millie Deak, and Maddie Parrish worked on establishing a club and program at Pingry to support Syrian refugees called Pingry Students Organize for Syria. Sagar also worked with Mr. Tobias Fox of Newark Science and Sustainability and students from Seton Hall University to design a curriculum for Newark elementary schools. Sara Donovan decided to connect her two loves of fashion and politics into one project during May. She spent her time touring the streets of New York City and photographing and interviewing people of different backgrounds and displayed them in a photo project. Sophie Loesberg helped Temple Har Shalom create a library for the Temple’s Pre-K program by sorting out pre-K books from the Temple’s larger library. She also assisted in archiving and cataloging the Temple’s historical documents and records. Through interning and shadowing colleagues of Jane Aronson, founder of Worldwide Orphans in Maplewood, Iman Khan learned how nonprofits are established and developed. Kassidy Peterson worked with Raritan Headwaters to preserve and monitor clean water in the surrounding community. She monitored streams, helped educate younger students about clean water, and marked trails and safe places for people to enter and exit the streams in kayaks. Allie Verdesca took an in-depth look at art created by women during May. She observed many different works of art and determined the time period, subject matter, and representation in museums, and determined which piece she would add to the AP Art History curriculum if given the chance. Several teachers are moving on from the Upper School after a few years. Mr. Paul “Woody” Garavente, also fondly known as “Mr. G” or “Coach G,” is leaving after three years of teaching in the Upper School. 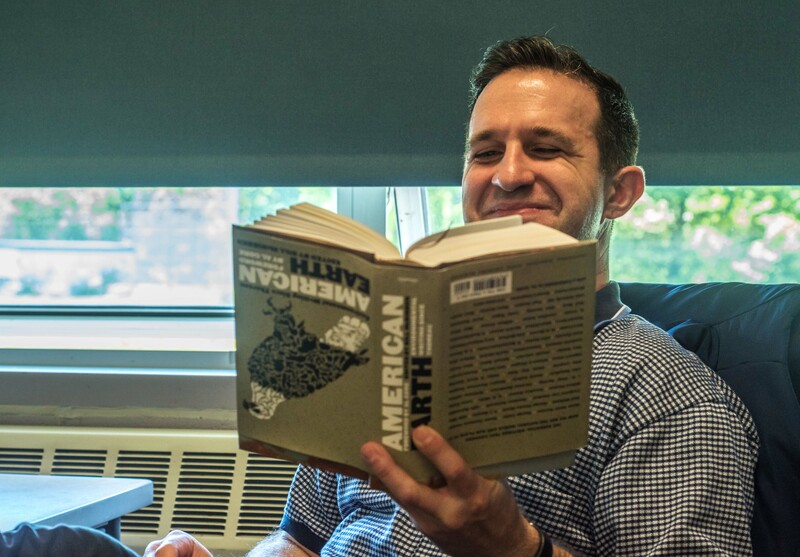 Since coming to Pingry, Mr Garavente has played a variety of roles such as a financial literacy teacher, a substitute teacher and a lacrosse coach to name a few. Mr. Garavente has always “had a passion for business and economics” and he spent 29 years on Wall Street prior to starting his second career as a teacher. His experiences have influenced his approach to teaching financial literacy to Pingry students. Next year, Mr. Garavente plans to tutor students and continue to coach lacrosse. His passion both in the classroom and on the field will be greatly missed. Next year, Ms. Jack plans to teach at the St. Andrew’s school in Delaware. Ms. Anne Sher is also departing the Upper School after one year. For the past year, Ms. Sher has taught honors Geometry and coached the JV girls’ basketball team. Next year, she is moving to Connecticut and will continue to coach basketball and teach Honors Geometry at a boarding school. Her enthusiasm for math and basketball will be missed. 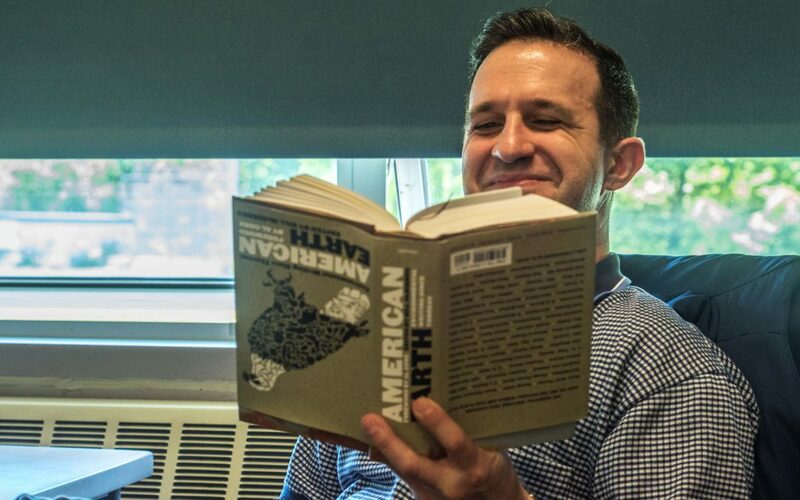 Finally, Mr. Ryan Staude, also fondly known as “Staude,” will be leaving after two years of teaching history in the Upper School. Specifically, he taught World History 9 and AP US History. 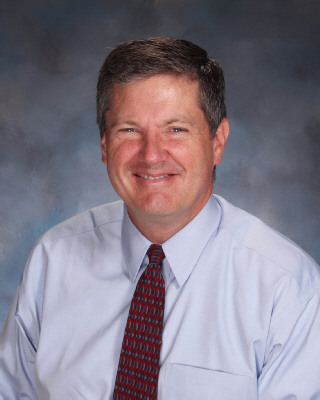 Next year, Mr. Staude will be the history department chair at the O’Neal School in North Carolina. His passion for history will be missed by many students.